Our Patient Education articles offer valuable insights in the various dental options available to our patients. This section is dedicated to educating our patients so they can make much better dental decisions. From time to time, we all notice imperfections in our appearance. While insecurities are common, flawed teeth don’t have to be! Having a shiny and welcoming smile is an attribute that makes you memorable. If you are one of the many adults who are missing teeth – your struggles are not to be taken lightly. A missing tooth can cause you to miss out on things you once enjoyed, such as eating your favourite foods, attending big social gatherings, or smiling in photos. Thankfully, there’s a solution: dental implants. Dental implants are a common and permanent way to improve the stability of your mouth. Whether you wear removable dentures or have missing teeth, dental implants can provide you with a long-term, stable, and strong smile. Their impressive quality and durability has made them popular in the field of dentistry. Losing natural teeth can slowly weaken your natural jawbone and your ability to chew. Additionally, it can negatively impact the way your face and smile look. If you’re searching for a smile-saver, dental implants may be your answer. The main goal of dental implants is to replace your teeth with new ones. Unlike dentures and bridges, dental implants do not need to be replaced as they are designed to last a lifetime. 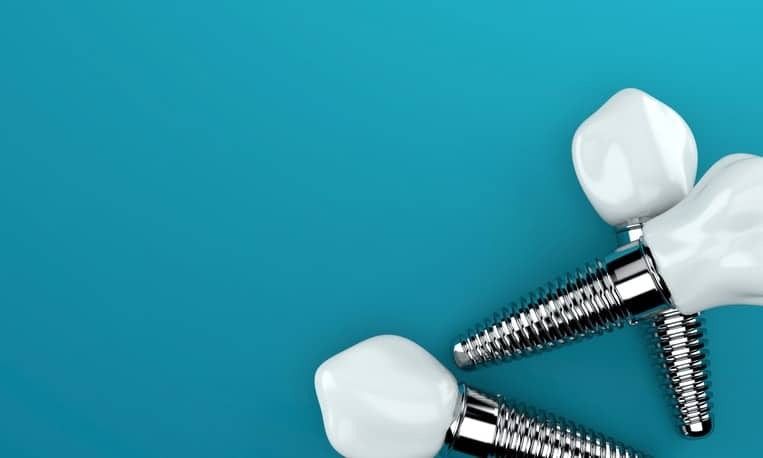 Dental implants are typically made of a metal that fuses with your jawbone, otherwise known as titanium. They are bonded to your jawbone and are extremely strong. Implants will function and look just like your natural teeth; however, they will help prevent bone loss in your jaw. Why Should You Get Them? It is common to believe that the best part about dental implants is the aesthetic appeal they will have on your smile. It is true that dental implants are the perfect way to improve your teeth without making any dramatic changes. In fact, we can almost guarantee that no one will be able to notice that you got them. Although replacing missing teeth may seem to be a mere cosmetic procedure, we can assure you that there are many other benefits that come with dental implants. For instance, tooth replacement is a great reason to choose a dental implants procedure, but it isn’t the only one. Did you know that preserving the health of your jawbone can be done by having dental implants? Choosing to leave a gap in your mouth can result in painful and severe oral problems. 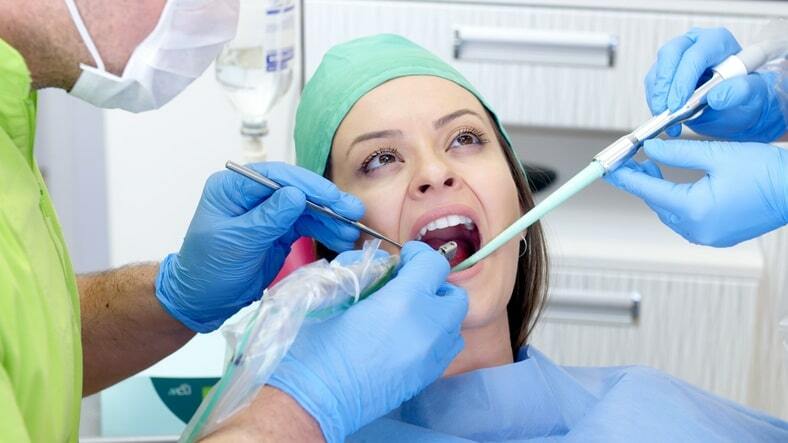 Each tooth plays a significant role in a patient’s dental health, meaning that it is important to have a full set. Not only can missing teeth make it hard to chew and bite, but it can also harm your jaw and change the look of your face. Your underlying jawbone can diminish due to missing teeth, which will cause adjacent teeth to shift. This results in larger gaps, making it hard to floss and brush that area of your mouth. Failing to clean areas of your mouth can lead to gum disease and additional tooth loss. In order to maintain it’s density and form, the bone structure underneath your gums needs constant stimulation. 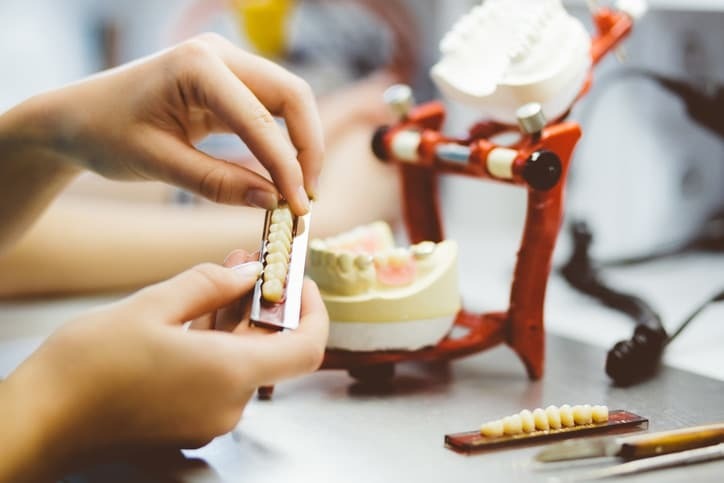 While there are many other tooth replacement options, such as dentures and bridges, dental implants are the only procedure that offers bone stimulation. Unfortunately, none of the other tooth replacement options, namely bridges and dentures, offer bone stimulation. So, your bone tissue will continue to wear away, distorting your facial structure and smile. Do dental implants sound appealing to you? Dental implants are an ideal treatment for patients with missing teeth. However, not everyone is eligible for the procedure. In order to determine whether or not this surgery is the best option for you, book an appointment with our clinic for an oral exam. You deserve to have a smile that will have all eyes looking your way. Having a perfect set of teeth may not sound that complicated. After years of experience, we know that dental implants require a mastery of dental materials, precise detail, skilled staff, a high level of knowledge. Our Toronto dental team strives to give patients the smile they’ve always dreamed of with effective and natural-looking results. Although we are a Dental Implants Clinic, we also offer many other dental services and can help you decide which procedure is best for your mouth. We are dedicated to ensuring that all patients leave happy, which is why we offer free consultations at our Toronto Dental Implants Clinic. To learn more about our variety of dental services and how we can transform your smile, contact us. Tis the season for giving and as a team we feel it is our responsibility to help those who are less fortunate than us. This year Bond St Dental will be collecting food & non-perishable items to drop off at several Toronto shelters for the holidays. We are also having a raffle to win a pair of Toronto raptor tickets. Please bring in 3 items & receive 10 ballots to be entered in our contest. Feel free to drop off your contribute items to the collection. Together we can make someone's holiday season a little brighter. Drop off will at Bond street Dental, location at 113 Bond street Toronto, on M5B 1Y2. Your generosity is appreciated.